Addis Ababa (Ethiopia) February 11, 2019 (SPS) - President of the Republic, Secretary-General of the POLISARIO Front, Brahim Ghali, on Sunday held official talks with UN Secretary-General Antonio Guterres in Ethiopian capital Addis Ababa. The talks centered on the United Nations-led peace process in Western Sahara in the context of the efforts of the UN Secretary-General and his Personal Envoy, Horst Koehler, to find a just and lasting solution to the conflict on the basis of international legitimacy. The President of the Republic reiterated the full cooperation of the Sahrawi authorities with the United Nations in order to reach a just and lasting solution to the issue of decolonization of Western Sahara on the basis of the application of international legitimacy and respect for the inalienable right of the Sahrawi people to self-determination and independence in accordance with the resolutions of the United Nations and the African Union. For his part, the UN Secretary-General stressed his full support for his personal envoy to advance the UN-led political process towards finding a solution to the long-running conflict in Western Sahara. 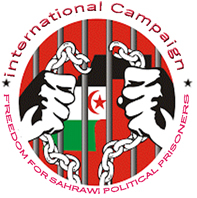 Sahrawi President Ghali: "We will win. It's a matter of time"